TechStyles is written, thought about, planned, in a home office. And on an occasional train. But mostly at a home office. It doesn’t look like the one in the picture above, but I’d very much like it to. 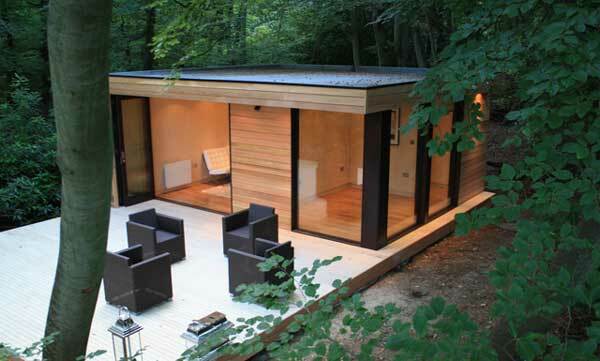 It’s a picture of one of the garden rooms made by UK company in.it studios. The company stretches the concept into a few designs – garden office, garden studio, granny annexe, and even a whole house. Depending upon the layout and fittings, the garden offices start at £8,995, the garden studio £15,000, and the granny annexe £30,000. Click the thumbnails below to view larger images of some in.it studios garden off / studio constructions. How about Archipod’s The Pod for a home office?